With the 2-0 victory, the Big Red captured the season series against the Crimson, two games to one. ITHACA, N.Y. — The stage was set on Friday night: the Harvard men’s hockey team tripped to Upstate New York to battle Ivy League rival No. 15/14 Cornell in the 2000th game in Big Red history. Fresh off a victory over then-No. 6 Quinnipiac, the Crimson (7-6-3, 4-5-2 ECAC) had a chance to claim the season series against Cornell (10-5-1, 6-2-1) and quite possibly reenter the USCHO rankings for the first time since late 2017 in the process. Harvard, however, failed to seize the opportunity in front of it. The Crimson fell to the Big Red, 2-0, as untimely penalties and a failure to establish a net-front presence hindered the visitors’ ability to crack the code of sophomore goaltender Matt Galajda. Four minutes into the final frame, with the Crimson playing visibly frustrated after ceding two goals the period prior, Harvard defenseman Adam Baughman cross-checked Big Red freshman Max Andreev. The senior’s hit sent the forward crashing into the boards on all fours, and the officials assessed Baughman a five-minute major penalty and game misconduct. Andreev, injured on the play, is unlikely to return to the Cornell lineup in the near future. With Baughman tossed from the game and the Crimson down two goals yet facing a long non-releasable penalty, the outlook was bleak. Of course, as the ice began tilting in the hosts’ favor, the raucous Lynah crowd only grew more imposing. “We take a penalty that makes it real tough for us to come back, killing off a five-minute major in the third,” coach Donato said. These significant headwinds made it difficult for Harvard to get back in the game. The Crimson icemen, who mid-way through the contest led in shots, ultimately finished the tilt at a 30-25 disadvantage as they struggled to carry a solid first-period performance through to the remaining 40 minutes. Given the Big Red’s tight-checking style, it proved particularly difficult to come back against a lockdown team and net-minder. 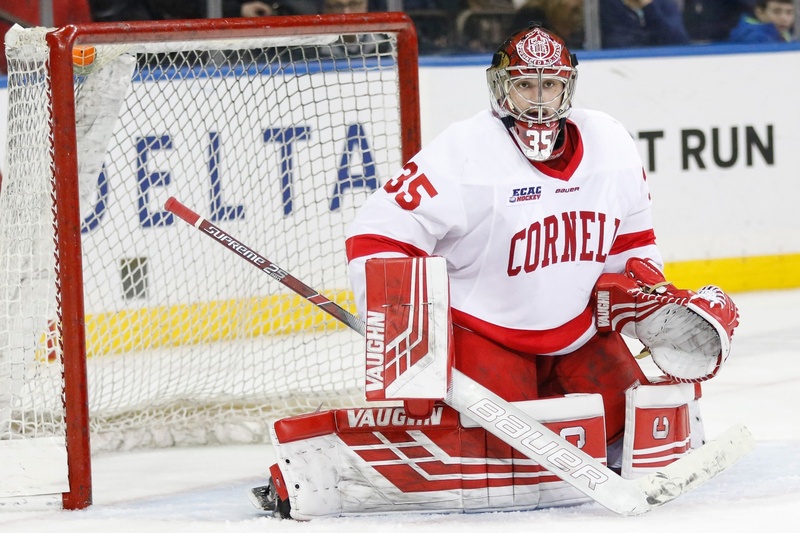 Between the pipes for Cornell, Galajda posted 25 saves en route to his 10th career shutout and second in four appearances against the Crimson. Big Red net-minder Matt Galajda stymied the Crimson attack on Friday, posting a 25-save shutout. Coming off a scoreless first period, the Big Red had built a two-goal lead by the next intermission. Cornell cracked open the scoring two minutes into the middle frame. Sophomore forward Brenden Locke punched a puck past backstop Michael Lackey, sending the hometown crowd into an uproar. Locke’s linemate and fellow sophomore, Morgan Barron, corralled the puck after a successful forecheck and fed it to Locke for the strike. 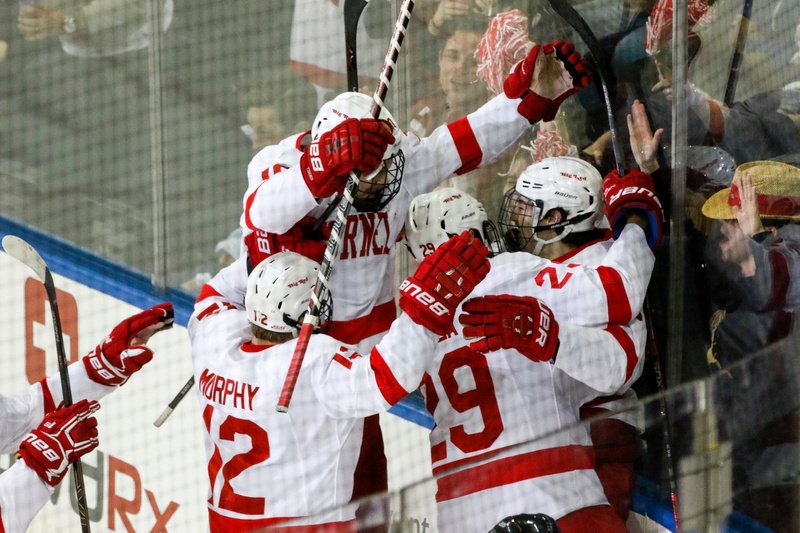 While Barron set up the first Big Red tally — the eventual game-winner — he potted the second one himself. With three minutes remaining in the stanza, Harvard freshman Wyllum Deveaux was sent to the sin bin for hitting with head contact. Six seconds into his penalty, Barron picked up a rebound off Lackey’s pad and swept it home. The first period saw no goals but still featured the intensity and animosity that Lynah fans have grown to expect between the two Ancient Eight foes. After 20 minutes, Harvard led in shots, 11-9, and had tilted the ice ever so slightly in its favor, threatening Galajda on multiple occasions. On the other end of the ice, Lackey saw pucks well and held firm, logging his team’s sixth first-period clean sheet of the season. The senior finished with solid numbers (2 GA, .933 SV%) despite the loss and continues to look confident in net for the Crimson. 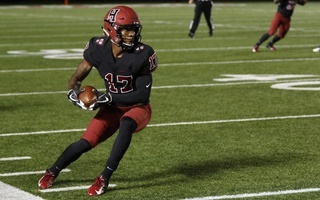 Lackey’s play will be a large determinant of Harvard’s ability to make a run late in the season. Another prominent feature of coach Donato’s squad — its powerplay — was not quite as sharp on Friday evening. The shutout defeat marks the end of a three-game stint with a man-up goal, as the Crimson failed to strike on either of its two attempts against Cornell. 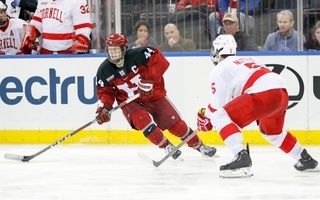 Harvard’s powerplay remains the most effective in the NCAA at a 34.5 percent clip. The Crimson must move on from a disappointing defeat at the always rowdy Lynah Rink. It visits Colgate on Saturday afternoon in a vital opportunity to nab two ECAC points.